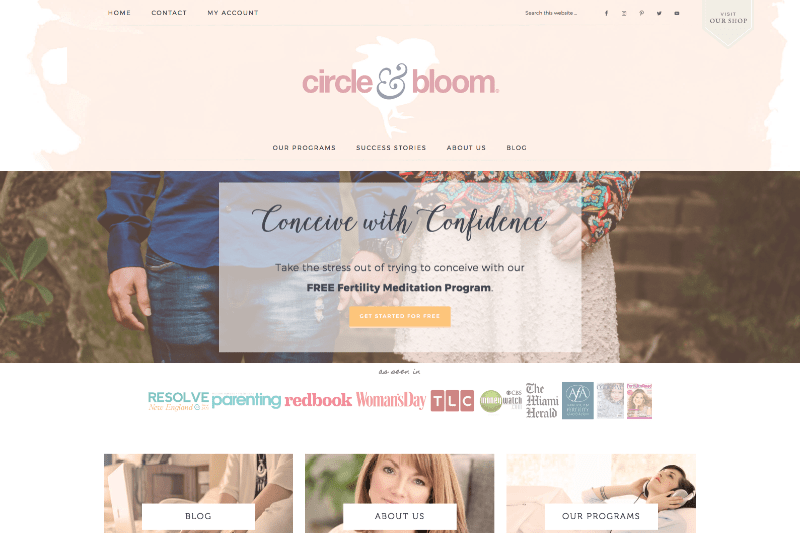 Circle & Bloom offer guided meditation & visualization programs for fertility and health. Joanne, the founder, used to sell her programs outside of their website through a third-party service, making the delivery of their digital programs difficult to manage. Seeing that an integrated solution could reduce costs & significantly increase value and ease of use for her customers, she hired me to deliver a full refresh of how the site works. We went through a complete rebranding for the website, redesigning the look and feel as well as restructuring the content. I setup a complex e-commerce, membership, subscription & affiliate system for their requirements. Now, Circle & Bloom customers can access digital products directly on the website, immediately after their purchase. Access is possible on all devices (desktop, tablet & mobile) so it is much easier to complete the guided meditation programs daily. The website is optimised for SEO, social sharing, and to bring in testimonials and Circle & Bloom have seen an increase in visitor retention on the site, staying for longer periods of time and therefore increasing return visits & opportunities for further purchases.